Given that the plant kingdom developed on Earth many millions of years before the evolution of human beings, it’s fair to say that herbs are the oldest magical tools in existence. Known for millennia to have beneficial properties for both physical and spiritual well-being, many different species of plants were incorporated into the practices of healers, shamans, and other medicine men and women of the “old days”—this was the origin of herbal magic. Back before medicine was separated from magic, physical healing was often accompanied by ritual and prayer, so that a patient might be treated with an herbal decoction (or tea) as well as a smudging ritual and an incantation to the spirits for a speedy recovery. Today, the simple ritual of enjoying a cup of herbal tea can have emotional and spiritual effects as well as nutritional benefits. This combination of healing and magical properties makes herbs incredibly powerful components in modern magic. In fact, the study and patient practice of herbal magic can prove to be the most rewarding form of the Craft a Witch can discover. In terms of magical symbolism, plants embody the power of the four classical Wiccan Elements working together to create and sustain life. They begin as seeds in the soil of the Earth, where the minerals needed to sustain their life are found. They interact with the “fire” of sunlight, which makes the process of converting carbon dioxide into oxygen possible—a process that directly affects the quality of the air. Air, in turn, fosters more plant life in the form of wind, which both stimulates the growth of stems and leaves, and scatters seeds in order to continue the cycle. And of course, all plants need some amount of water to live—even the hardy cactus. But they also play a crucial role in the regulation of the Earth’s water cycles by purifying water, and helping to move it from the soil to the atmosphere. Indeed, there is perhaps no better illustration for how the elements of Earth, Air, Water, and Fire come together than in the magical existence of plants. Aristotle, the famous Greek philosopher of ancient times, believed that plants have “psyches,” a word normally used to describe the human quality of soul, or spirit. 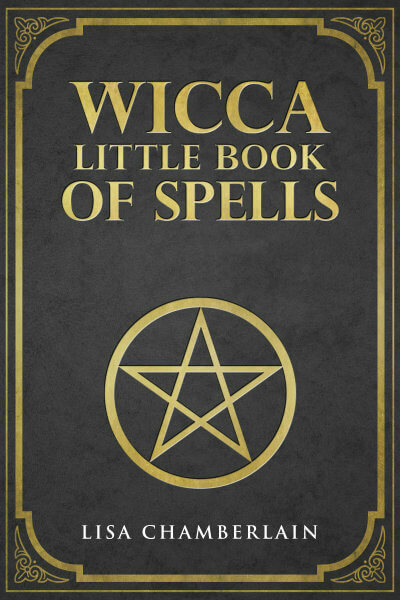 Many Wiccans and other Witches today would agree. In fact, even scientists are starting to realize that plants actually have what we might define as consciousness. Plants both communicate and cooperate with each other in the wild, even among different species. In a forest setting, trees, shrubs, and other plants will exchange information with each other through an underground network of roots and fungi. This natural “internet” allows plants to exchange nutrients with each other, helping each other make up for any shortages at various points in the growing season—much like you might “borrow” a few eggs from a neighbor and return the favor later on with some extra butter! Plants are also able to warn each other about nearby predators. For example, if one leaf is bitten by an insect, a plant will release chemicals that both repel the insect and prompt its plant neighbors to release their own chemicals to do the same. These discoveries serve as wonderful illustrations of the inherent intelligence of Mother Earth. Whether working with a plant’s roots, seeds, stems, leaves, flowers, or berries—or even the bark of a tree—Witches tap into this magical energy when incorporating herbs into their practice. For connecting with the energies of the Earth, nothing beats working with your own magical garden. Growing and harvesting your own herbs keeps you literally in touch with the powers of the Earth—not to mention the Sun, the rain, and the wind, as well as the role played by insects and other animal life in sustaining the cycle of life and death in all of its forms. What’s more, gardening allows you to charge these tools with your own energy from their very inception! Herbs are also probably the most versatile when it comes to hands-on magic. You can use them to create your own magical crafts, such as spell jars, dream pillows, poppets, sachets and other charms. Some people like to create their own incense and oils with herbs, which adds even more magical power to their work. Herbs are also used in all kinds of ways in “kitchen Craft,” whether we’re talking about magical teas, tinctures, potions, baked goods or other foods. Herbs are used in many forms of spellwork, of course, from crystal and candle magic all the way through to bath spells. Smudging—the burning of dried herbs to purify and/or bless a space—is a near-universal practice found in many ancient traditions, and has also made its way into contemporary Witchcraft. When it comes to ritual, some Wiccan practitioners use specially designated herbs to mark the sacred circle before beginning Sabbat rituals. Others use particular herbs to honor their patron deities, such as lemon balm, which is considered sacred to the Roman goddess Diana. Indeed, herbal magic is incredibly practical—in fact, much of it can be done with ingredients you likely already have in your kitchen! Click here to learn more about the magical properties of some of the most popular herbs. What exactly is an herb? It’s interesting to note that for Witches and herbalists alike, the designation of “herb” applies both to plants that have physical benefits to the body, and those that are known to be toxic—even potentially deadly—such as belladonna and henbane. Those who are knowledgeable about herbs understand that no plant is either good or bad—each simply has its particular uses in relationship to the human body. If you’re just starting out in herbal magic, be sure to heed all warnings regarding toxic herbs, as some older traditions do use a few. And if you’d rather be safe than sorry, find appropriate non-toxic substitutes for those spells and recipes. The amount of available information about herbal magic can be overwhelming at first. But you don’t have to be a master gardener or a botany expert to get your practice started. Getting acquainted with the magical properties of just one or two herbs at a time is a great way to build your relationship with the energies of the plant world. In fact, many popular magical herbs are available in the spice section of your local grocery store! If you’re just starting out, try this simple herbal spell and gradually build your knowledge of herbal magic from there. Enjoy your first steps on this amazing journey! 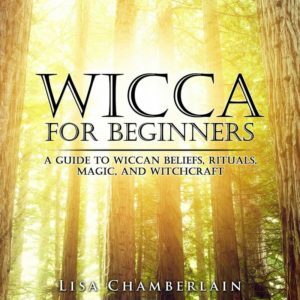 Click here to learn about several other types of magic practiced by Wiccans.